This is Kat, she was brought in to The Vet Liverpool with a swollen toe (and the claw had fallen off). One of the vets took a FNA (fine needle aspiration which is when a thin needle is inserted in to the problem area) to check to see if it was a tumour. The FNA came back inconclusive which meant they didn’t have enough cells to identify what was going on with the toes. The vet prescribed antibiotics and anti-inflammatory to clear up the infection. Kat then revisited the clinic for a check-up. Our vet Hattie decided to x-ray the toe and to take a biopsy. 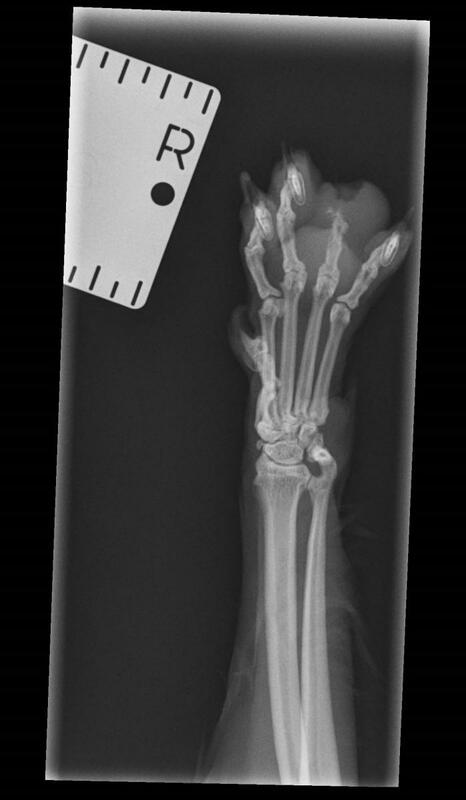 The X-ray showed that the mass/tumour had started to destroy all the bones in the toe. 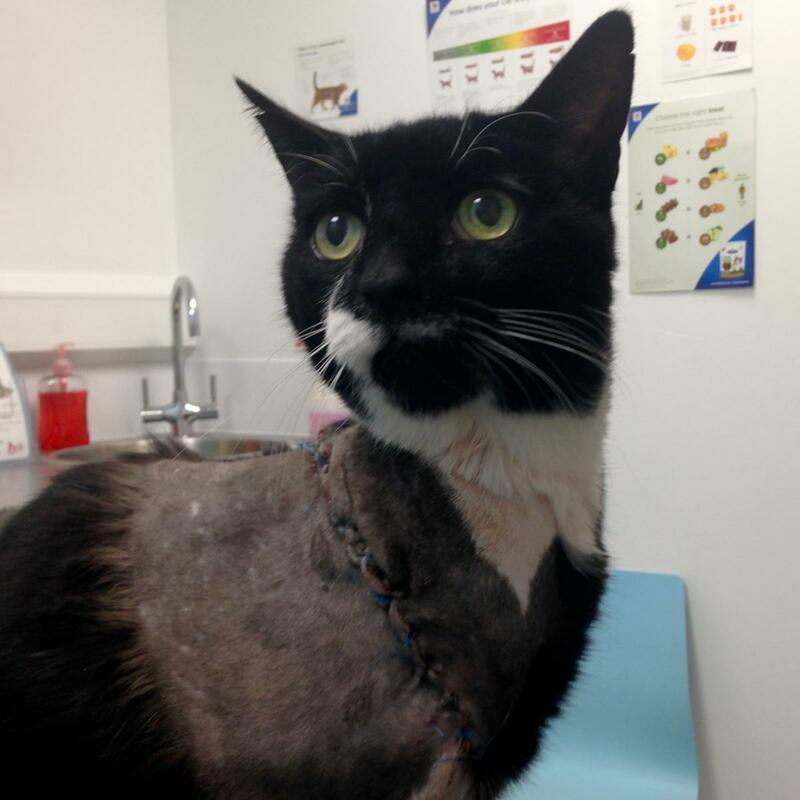 The biopsy was sent to an external lab and came back as a very aggressive tumour. The only option was to remove Kat’s leg to stop the tumour from spreading. She underwent the surgery and has done very well since and has now started walking around the house again!